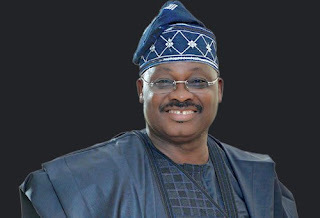 Governor Abiola Ajimobi of Oyo on Tuesday announced the downsizing of the state’s ministries from 23 to 13. Ajimobi gave this indication in Ibadan during the inauguration of the 8th Assembly in the state. He said that the decision was taken to reduce the cost of governance considerably, and to restructure the Mministries, Departments and Agencies (MDAs) for optimuml performance. The governor urged the legislature to cooperate and collaborate with the Executive in order to create conducive atmosphere for building their desired state. “Our desire to embark on the foregoing, among others, is borne out of our ardent desire to make life more abundant for the good people of Oyo State. He expressed his admiration for the people of the state, who “defied all known distractions to break the mythical or contrived yoke of 39 years of `’no governor ever secured a second term at Agodi Government House”. Ajimobi said that his vision was to make the state a place where everyone could be whatever he or she positively desired. He added that his first term had re-defined the art of governance in the state with catalogues of achievements. He said that his administration would widen the scope of infrastructural development, upgrade the Ibadan airport to a cargo airport and improve on revenue generation in the state.